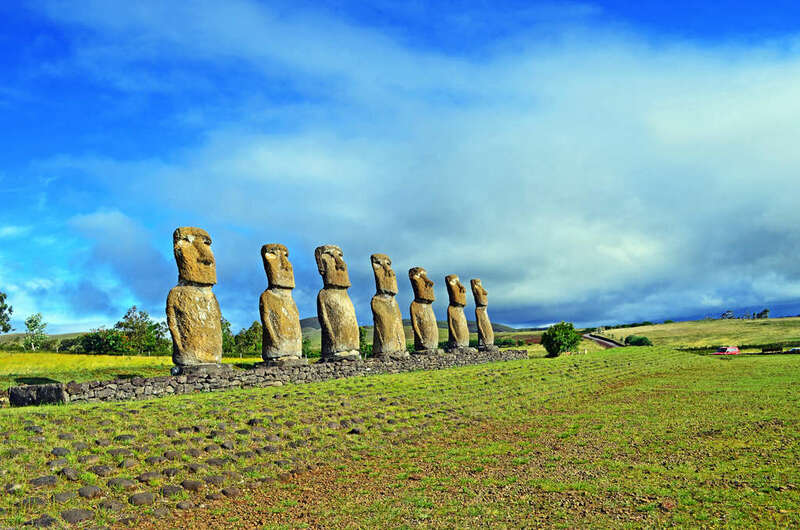 Visit Easter Island one of the most isolated islands on the planet and see the giant stone Monoliths called Moais. 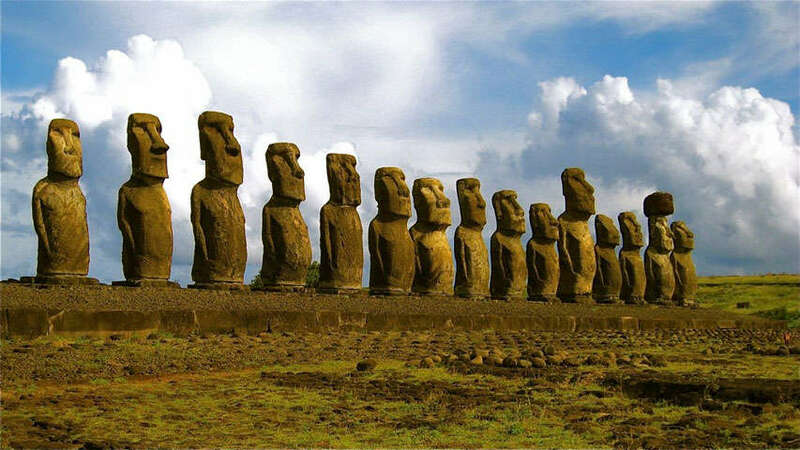 The island boasts over 800 of these enormous human shaped figures the tallest being almost 10m and weighing in at 82 tons. Viewing these figures its hard to imagine how they were put in place almost 800 years. The Moais are not the only attraction. The island features white sand beaches, volcanic craters, great diving and a network of caves as well as rock art sites developed by the bird man culture. When you arrive at the airport and you will be received with the typical flowers necklace, then you are taken to make the check-in in the selected hotel. The following day will you enjoy a complete tour and have a chance to see all the top attractions including Akahanga in the south coast, the worldwide known Moais, the volcano Crater and more! Reception at the Mataveri airport with the custom Polynesian greeting of a flower necklace, then you will be taken to your hotel. The hotel is located close to the city center so you can spend the rest of the day at your leisure. After breakfast, we will begin our full day tour of Rapa Nui culture, the powerful Moais, and end with a turquoise view. 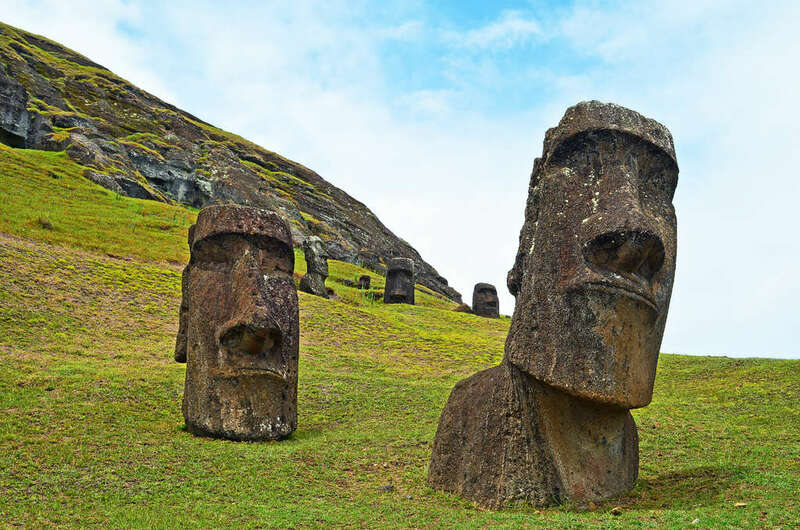 We will visit multiple sites to view the Moais along the coastal road including Rano Raraku where many of these incredible statues were carved and some still remain, Ahu Tongariki with its 15 restored Moais, Ahu Akahanga, and Ahu Te Pito Kura, also known as the "Navel of the World". 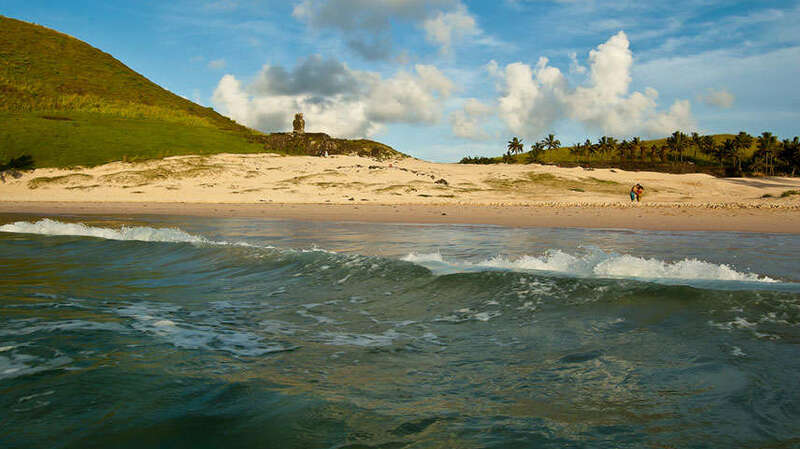 After ample viewing time of these giant marvels, we will continue to the white sand beaches of Anakena with its bright turquoise shore, palm trees and Ahu Nau Nau. Today will include a picnic during the tour at a decided upon location. We will return to Hanga Roa by the central Island road and be back at the hotel for dinner. Today will consist of a morning tour and an afternoon tour. 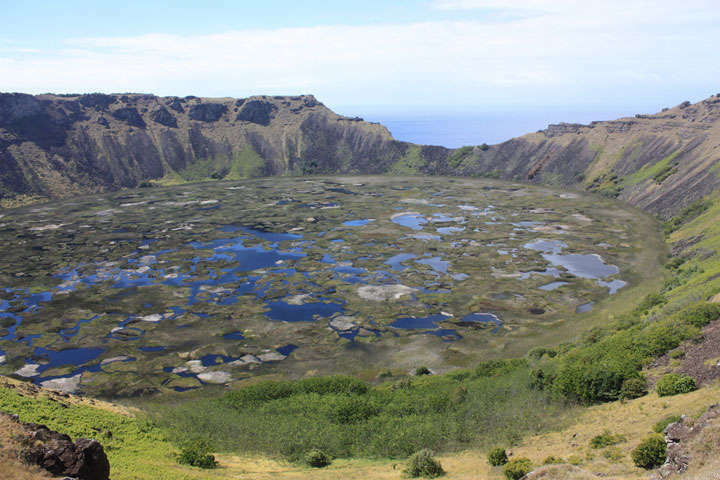 Morning Tour: After breakfast, we'll head to a spectacular viewpoint on the slopes of Rano Kau and its lake-filled crater. We will see the astonishing ceremonial village of Orongo, where the dangerous Birdman games were once held. These games were used to elect their leader through a life-risking challenge of physical strength and ancient beliefs. After an eye opening history lesson here, the tour will continue to Ahu Vinapu then back to the hotel for lunch. 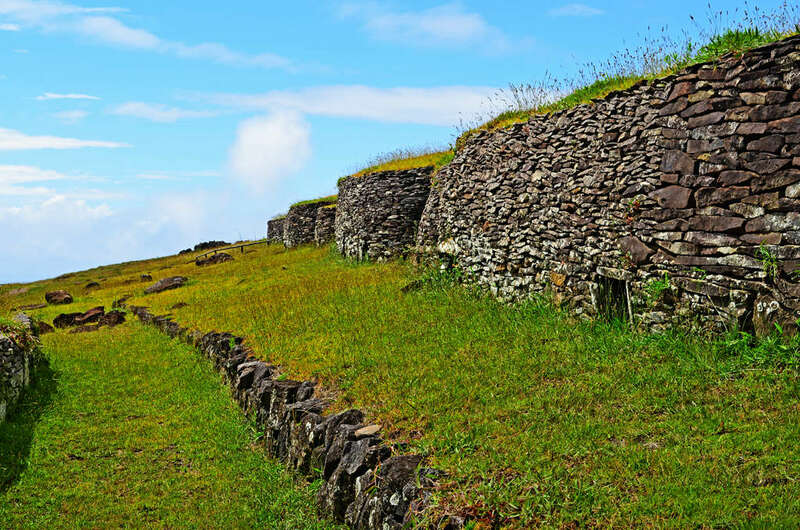 Afternoon Tour: We will explore deeper into the culture of the Rapa Nui by heading to the center of the island to see the legendary Moais of Ahu Akivi which represent the beginning of the Polynesians' story here. Next we will visit the lonely, restored Moai of Ahu Huri a Urenga. This enormous Moai weighs in at approximately 40 tons and peculiarly has two sets of hands! 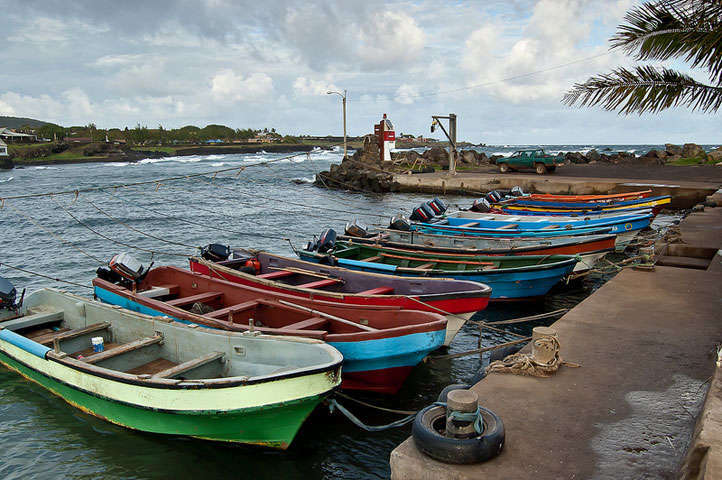 Enjoy a view looking back at Hanga Roa before heading back to the hotel. Breakfast at hotel and transfer to airport with a typical farewell necklace.